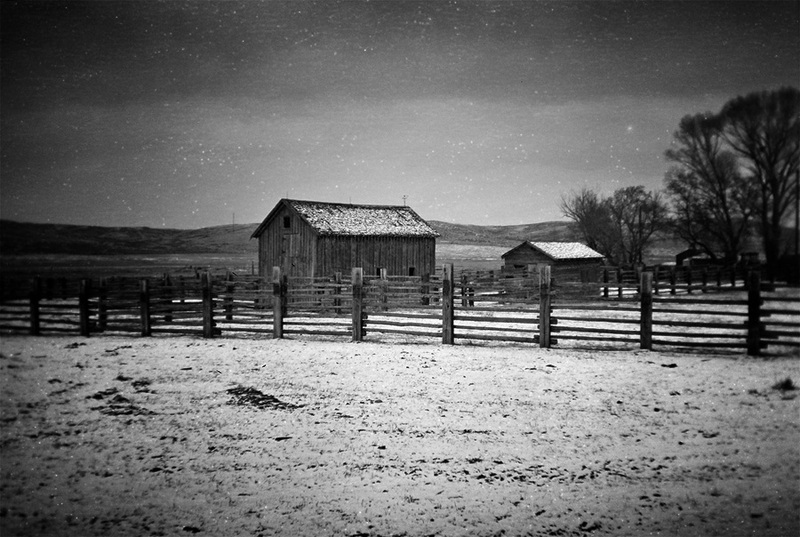 A snow covered barn in northern Colorado. beautiful image. love the feel of this. Just a classic shot…very nice. What a sky. It looks like stars. it's just such a great mood in this one! this is just stunning – I have tried to capture falling snow myself, but did not manage to do as I figured it. but you did a great job here. plus: I'll get my ansco shur-shot jr. next week, so I'm really looking forward to it, when seeing pictures like these.